My friend told me that my name is Russian, because "Mazarra" is a street or city in Russia. I don't know if this is true but I don't know the origin of my name so I'm not sure. I couldn't find anything Russia-related with Mazarra. Are you sure it isn't middle eastern? Well I found out it could also be from Iraq... But I don't think it sounds it! In Russian there is adopted word - "мазар". Мазар (араб. – место поклонения), у мусульман культовое сооружение над гробницами святых. Mazar (Arabic - place of theolatry) Moslem spiritual construction over the sepulchres of the saints. 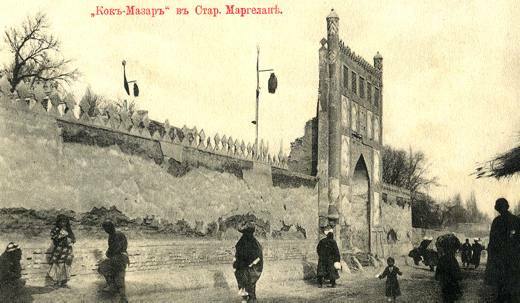 Кок-мазар в Старом Маргелане. Почтовая карточка.